Ever been stuck without a bottle opener? Unfortunately there isn’t an app for that but don’t worry the iBottle iPhone case has you covered. 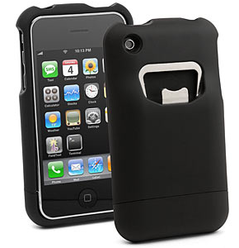 This iPhone case, combines two of the most essential tools – the phone and the bottle opener. It also comes with the added bonus that you will always know where your phone is when your drinking.